Description: One of the longest and most challenging hikes in any National Park. 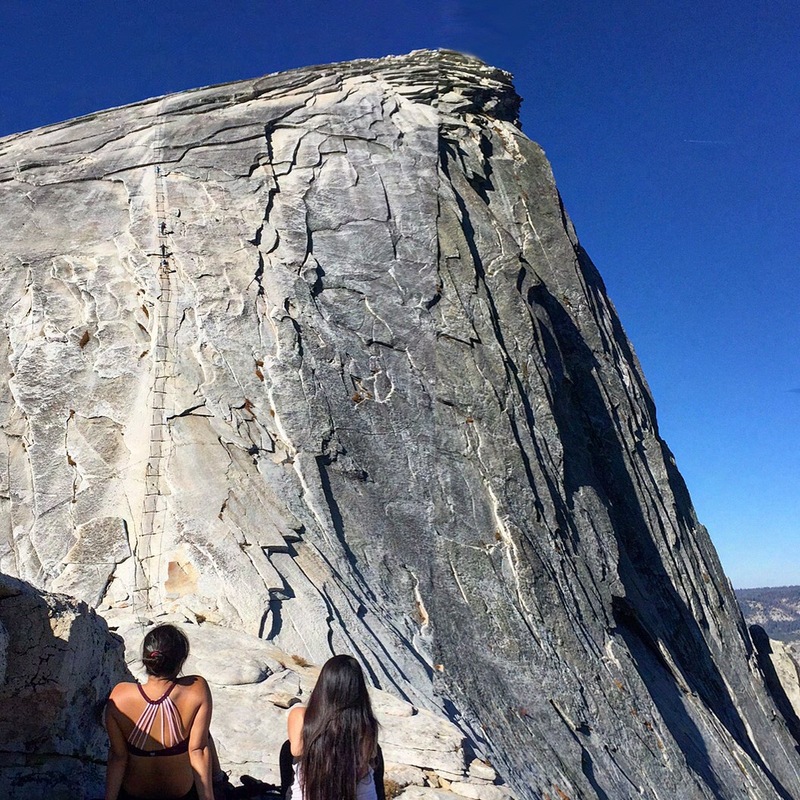 Half Dome is the ultimate hike for anyone who loves to challenge themselves. You can expect a full day hike with steep elevation gain and a mountaineer cable aspect at the end. Permit Information: You will need a permit to summit Half Dome. The price will increase this year. Since the fruition of Hikesnobs, we have written and published exactly 99 articles!!! We’ve put a lot of time and effort into this site and if you know us, you know that this is our BABY! With our 100th article looming, there was one hike from last year that seemed worthy of that title. 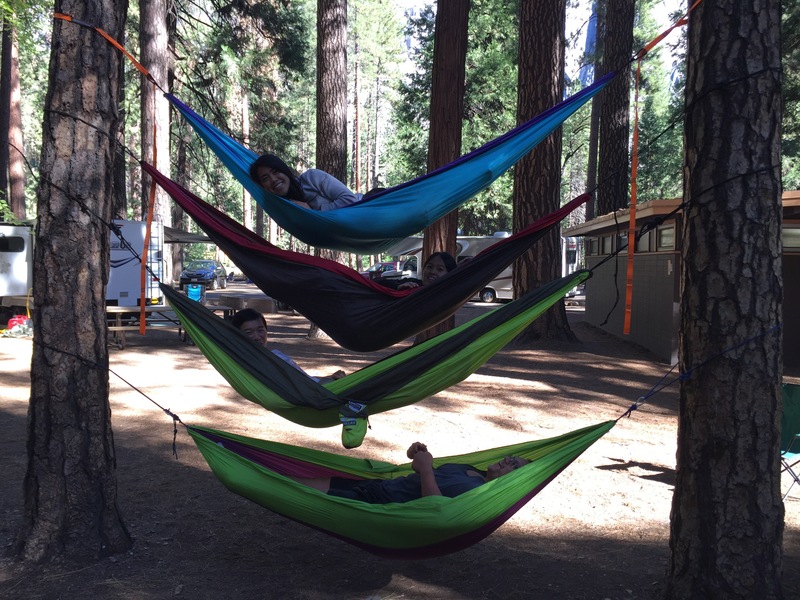 Half Dome is the ultimate adventure for any avid hiker! It’s been on the top of the HikeSnob’s bucket list ever since we began our hiking adventures. For those who’ve been living under a rock… Half Dome is one of the most popular and famous hikes in the world. 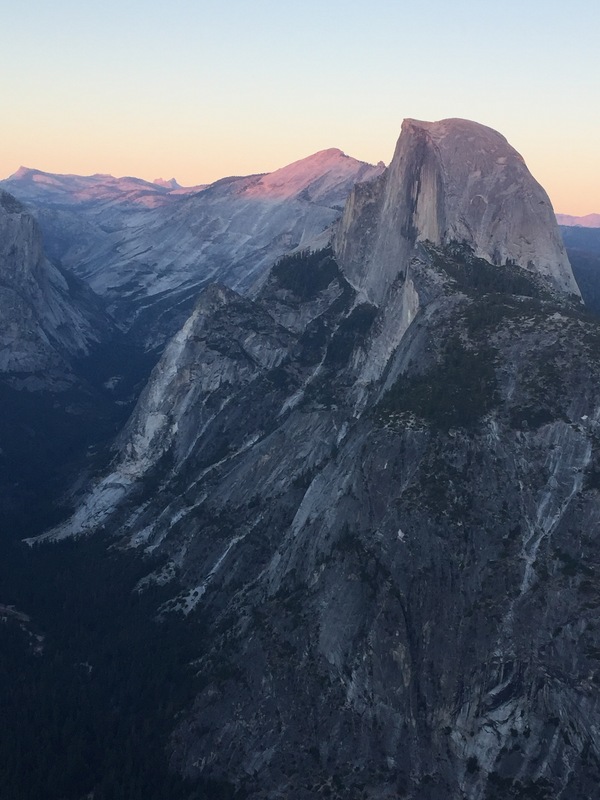 The challenging length, the exhausting elevation gain, the daunting cables and the beautiful waterfalls and views along the way makes Half Dome one of the best hikes! Before you summit Half Dome, your body needs to be ready for it. If you are decently fit and hike occasionally, this hike should be totally do-able. Our group of 7, for the most part, were ready 👊🏼💪🏼 (ehhh hem Ricardo 😡). Even if you’re not in the best of shape, just hike early, go at your own pace, and stay determined to make it to the top! We decided to hike Half Dome in late September so we could hike in cooler temperatures with less people. North Pines Campground (where we stayed) is the closest campsite to the trail head that doesn’t require a permit. 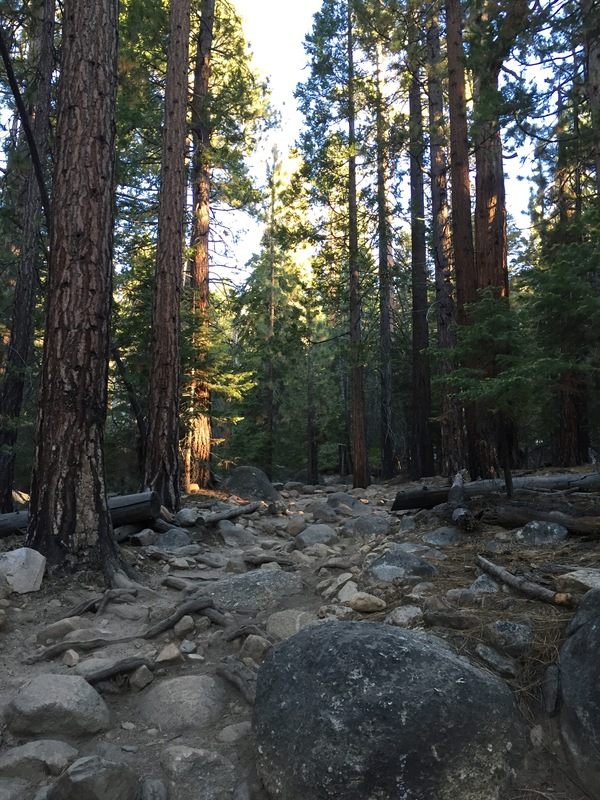 From North Pines Campground, it is a 1 mile walk to the John Muir/Vernal Falls trail head. To get to Half Dome, you can either take John Muir the whole way which is longer but less steep or the steep Mist Trail up. This will later connect to the Half Dome Trail. We decided to take the Mist Trail up and take the John Muir trail back down to save our knees. We left our campsite around 3AM because we weren’t sure how long the whole hike will take us. It was pitch black as we made our way up. It was a nice change to hike in the dark and enjoy the stars but we had to be extra careful. Keep in mind you’ll be going uphill like 90% of the time… we took quite a few breaks.😅 About a mile in, you’ll hit Vernal Falls Bridge. This is the last spot to get potable water (summer only) without a filter. Within 1.5 miles, we reached Vernal Falls. It was too dark for us to get a good view but we could definitely hear it. The steep stairs along Vernal Falls are steep and treacherous!!! The darkness helped us move quickly because we couldn’t see anything. If we could actually see how much longer the climb really was, it might have been a different story. The next two miles will contain a series of steep switchbacks until you reach the top of Nevada Falls. The last bathroom is at the top of Nevada Falls – last chance to leave that extra weight behind 💩 This is where the John Muir Trail and the Mist Trail meet again. To continue to Half Dome you’ll move forward on the John Muir Trail. After Nevada Falls, the trail will flatten out for the next few miles on a long sandy section through Little Yosemite Valley. For those that want to split up the hiking time, you can get a permit to camp up here. We considered it but we didn’t want to hike up with our gear. The sky was beginning to lighten up as we continued forward. This trail was the perfect time to relax and conserve energy. As you leave Yosemite Valley, this marks the halfway point to the top. You can also make a detour to Merced River. If you have a water filter or iodine pills, this is your LAST chance to get water. You’ll spend the next 4 miles hiking up through a foresty trail. Before hitting Half Dome, you will have to climb the horrible Sub Dome. (This is normally where a ranger usually waits to confirm if you have a permit or not.) A lot of people consider this section of the hike more strenuous than the actual cables itself. They were not kidding!!!! The climb is similar to the Mist Trail steps but you are 8,000 feet high where the air is thinner and it is much harder to breathe. You can expect to climb 600 feet in elevation in just .25 mile. Our bodies were already feeling spent from the miles we’ve already put in. It was difficult to move forward a few steps without needing a rest. If you made it to the top of the Sub Dome, you are only minutes away from the base of Half Dome. This area is totally exposed and there is little to no shade. Alright… it’s the moment we’ve been waiting for the last 6 months. It’s now or never…. let’s do this!!! If you remembered to bring your gloves, put them on. Otherwise you can rummage through a pile of old (kind of gross) gloves that previous hikers left behind. If you are really scared (like Alice) you can bring a harness to wear and have a HikeSlob (Greg) clip and unclip you between the cables. Luckily we went on a Tuesday and we hiked early enough to beat the crowd. As we ascended up the cables, we had 4 people in front of us who decided to turn back around including a mortified girl who was bawling her eyes out. We tried to encourage her to continue even though we were a little nervous ourselves… We didn’t come all this way now just to turn back! There were some steep and sketchy parts of the cables but for the most part it wasn’t too bad. The cables are probably even scarier if it’s full of people climbing up and down. On our way up we were able to climb without having to let too many people in the opposite direction pass. On our way back down, it took much longer because the number of people doubled. It’s not as difficult as some make it seem so don’t let it scare you away. There is reception at the top!!! Looks awesome, something that’s still on my bucketlist but you make it sound doable! Thanks for the tips.